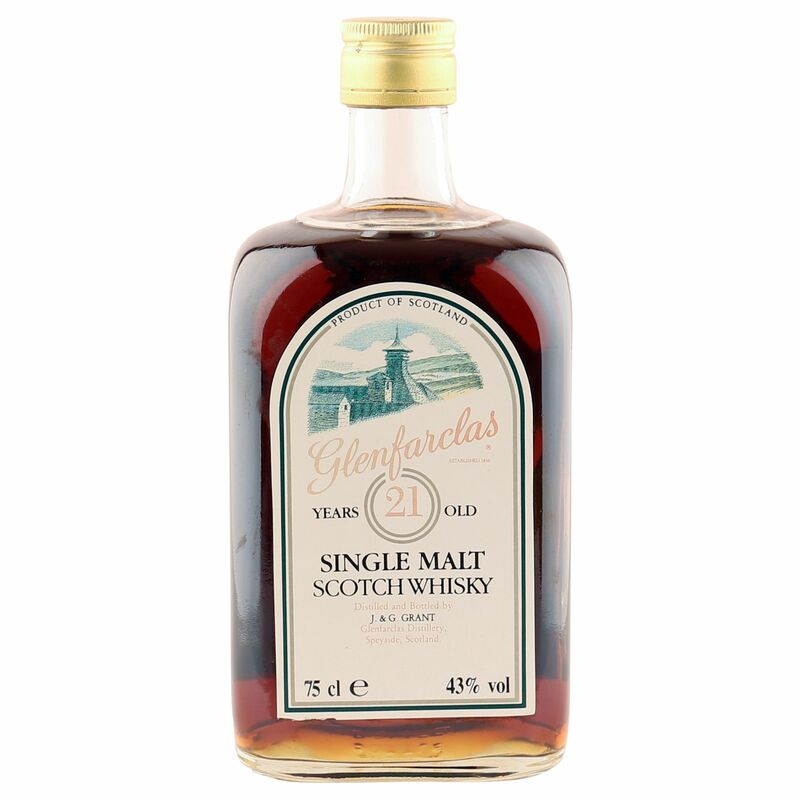 This increasingly rare 21 year old Speyside single malt was laid down at the Glenfarclas distillery during the 1960's and bottled in the old style square dumpy bottling in the 1980's. 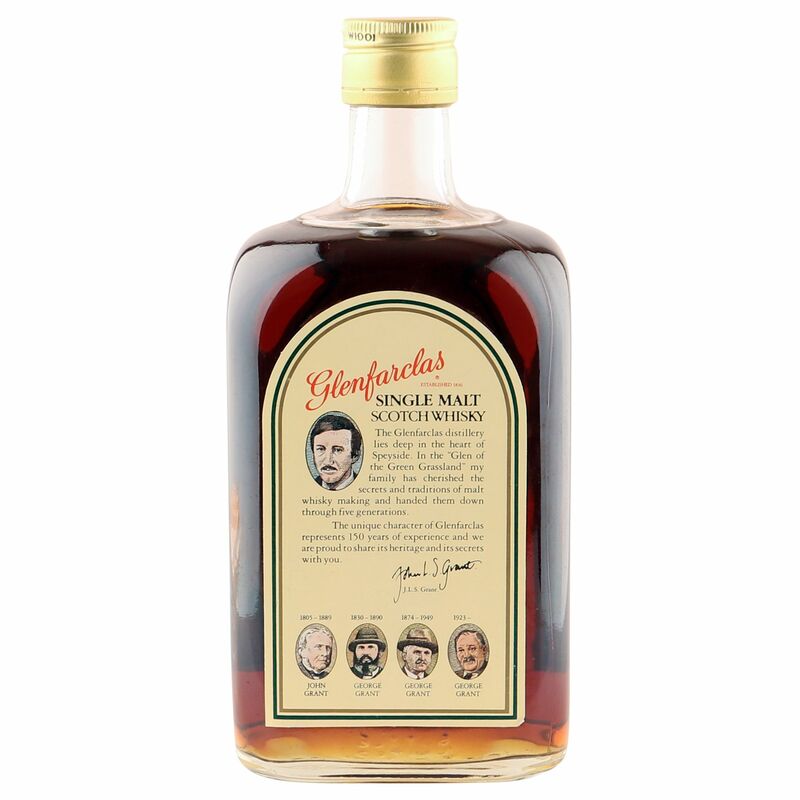 A well sherried classic that always stirs up interest. Please note, the front label has begun to fade and lose colour - see images.